Benjamin Hübner returns from suspension and goes straight into the starting XI. Andrej Kramaric has recovered from a shoulder problem to start. Omar Mascarell is replaced in midfield by Guillermo Varela, who filled the role during the DFB Cup semi-final triumph on Tuesday. 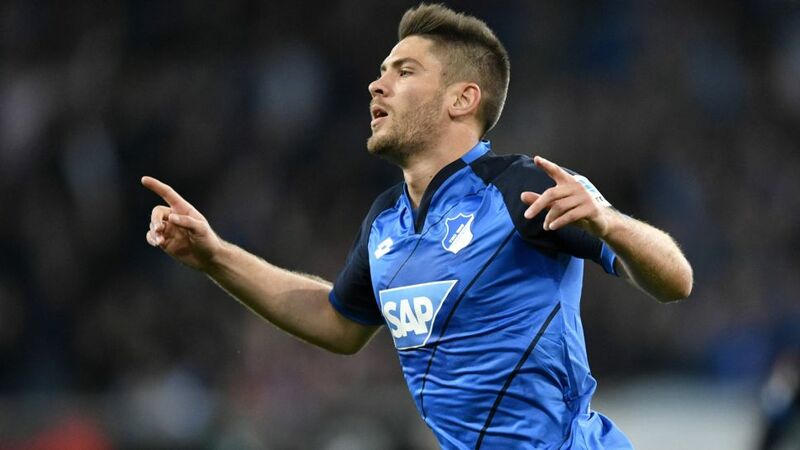 Hoffenheim have a club record 55 points.Frankfurt have lost their last five away games, scoring just once.Along with Bayern and Dortmund, Hoffenheim are unbeaten at home in the Bundesliga this season. They have never gone a whole campaign without losing a home match.Frankfurt's Matchday 30 win over Augsburg ended a run of ten matches without a victory.After Matchday 20, Frankfurt were a point ahead of Hoffenheim; they are now 14 points adrift.Hoffenheim finished 15th last season, Frankfurt 16th.